There is nothing like a cool crisp morning in the Spring. A gentle blanket of dew, or possibly frost, on the ground, the sun slowly warming up the sky, and the silence that is shattered by a tom turkey sounding off from his roost. 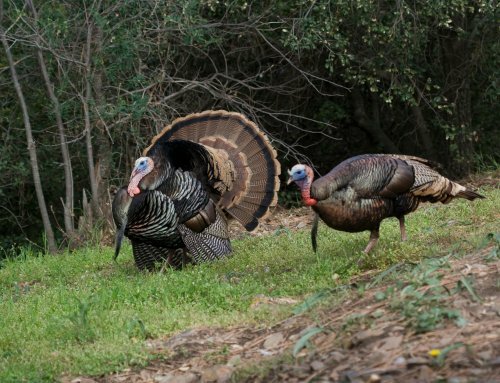 A gobble will get a hunters heart a-pumping, his adrenaline running, and his senses focused. Hearing that call is just the beginning of the hunt. The rest is the hard part. The real question is, are you up to it? If you’re planning on purchasing a turkey tag for one of the 2018 turkey seasons, read through some of the following tips and tricks that will hopefully allow you to carry a “jelly head” out of the timber and back to your home! The Iowa youth season is one of the greatest opportunities for a youngster to harvest a large Iowa turkey. The added bonus of purchasing a youth tag is that if a harvest is not made during the youth season, the tag will carry through the remaining four seasons for use. Toms and Jakes are both valid harvests during the seasons as well as bearded hens. Make sure that you know how to identify which bird is which. We need to teach our youth to do things the right way! The early weeks of the Spring find the flocks just coming out of their Winter routines and responding to the natural feeling to breed. Toms, for a few weeks now, have already been in the fields amongst their hens strutting and showing off. However, the hens haven’t been quite ready to breed until now and Iowa youth get the first chance to take advantage of that. Hunters will also have an advantage of pursuing birds who have not been pressured by hunters since the previous year. We hope, that birds who are over a year old have forgotten about last season’s hunters and they are ready to respond with less caution that they might a few weeks later. Calling and decoying are going to be keys to success during the youth season. I would encourage a good blind set when you are hunting with youth. 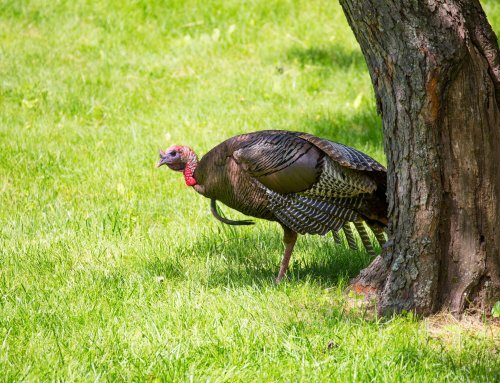 It will certainly help with the “hiding” from the turkeys you are pursuing. Kids can move and fidget if needed without being busted by the keen eye of a turkey. Find an area on the edge of a field or in some timber that you know (from scouting!) that turkeys often feed in. Make sure there are good shooting lanes and that your child is comfortable in the setup. In the Winter, turkeys are often in flock formations. There is safety in numbers and during the Winter months, predators are a turkey’s number one concern. Since they are just coming from this natural way of life, you might take advantage of this in a decoy setup by a spread that resembles a flock of turkeys. Most hunters don’t have a “flock” of decoys at their disposal. Talk to family member, friends, or others who might loan you some extra hen decoys. Setup a feeding flock within shooting range of your blind. When a lone tom comes looking, seeing a number of hens will excite him and add comfort to his visit. Until you disrupt that! I would also take advantage of early morning hunting and calling off the roost. Call hard and aggressively. Maybe use a mouth diaphragm along with a slate or box call at the same time. You need to convince those roosted toms that there is a pile of ladies waiting for him to come. With luck, your setup will offer a shot. Iowa’s First Season is not too convenient for the “working person” unless you have some time-off days burning a hole in your pocket. The season runs from a Monday to a Thursday. However, if you can make it happen, it is a good time to hunt for a couple of reasons! Personally I hunt this season every year. It has proved to be productive and I enjoy finally having an excuse to be in the timber again! One of the greatest benefits is the “surprise” to the birds. Now, I know that the youth season has come and gone and as a result some flocks are probably savvy to hunters in the woods again. However, where I hunt, the pressure has not yet begun and I always experience “fresh” birds who have not wised up to what is out there yet. 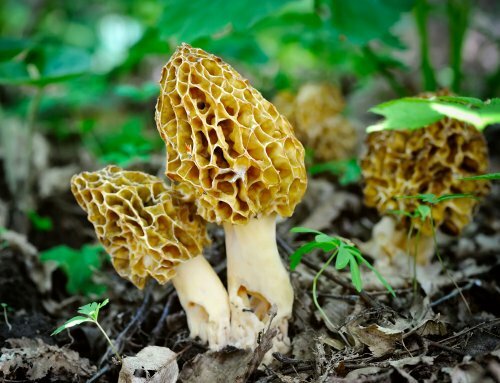 A second benefit of hunting the first season is the lack of hunters in the woods. Because the season happens during the week, as I mentioned earlier, it’s not always the ideal time for a working man or woman to hunt. With limited vacation days, turkey hunting isn’t always a good excuse to use them. (Depending on the person!) This is a huge advantage when hunting public properties that others might be hunting too. By this time, toms have usually discovered a flock of hens that they will tend to and protect from any other intruding males. They have probably established some sort of routine as to roosting and feeding so, when it comes to a dominant tom, you might be stuck with a challenge on your hands. There are also those lone toms who have not gathered a flock for breeding yet. They are in search and ready to challenge a dominant tom if they think they can take on the challenge. Calling to and setting up for these situations are unique so take time to prepare for both. Through some preseasons scouting (I suggest a week or two prior to your hunt), you should know where the flocks are showing up and where that might put you. Again, early morning calling is an advantage here. Roost them the night before with some “shock” calls. Use an owl, coyote, or crow call to get a roosted tom to gobble. Pick a setup spot and get there at least a half hour before legal shooting light. 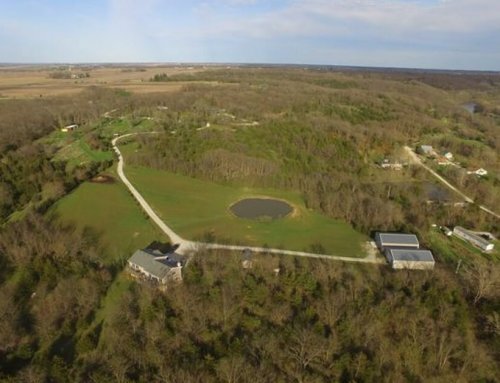 A few hen decoys and some soft clucks should bring those toms or the entire flock down to your setup. If the flock chooses to go another way, stay put! You might encounter those lone toms or jakes that are trying to become part of a flock or are trying to create one of their own. It’s worth sitting there for a while to make sure all of your chances are tried. If you make a harvest, be prepared for a heavy bird! 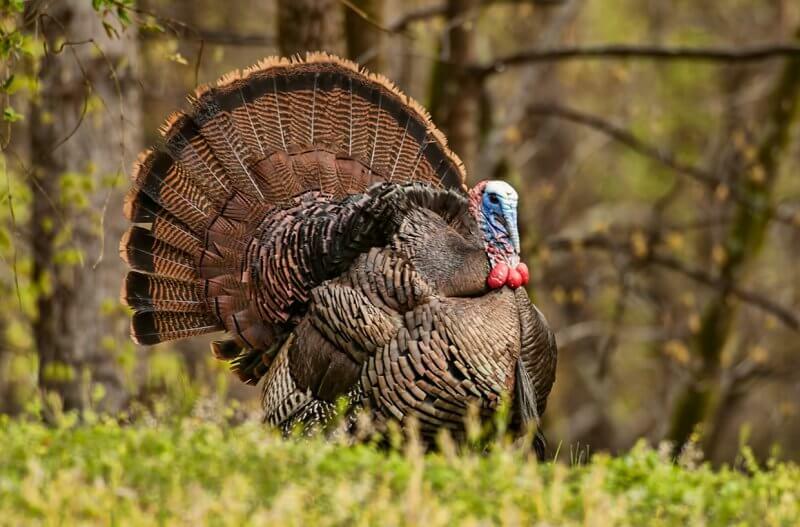 Typically a mature tom has not burned off his weight with a few weeks of displaying and strutting. The last two years, my first season harvests have weighed twenty-seven and twenty-five pounds respectively! By these dates, breeding is well underway. Usually the older hens will be ready to breed earlier than younger hens. Regardless, your calling and strategy have to be key to fooling and ol’ tom into range. This is a season that is usually heavily hunted across the state of Iowa. Again, for the individual who works during the week, having a weekend to hunt is a good deal. By this time in the Spring, most of the hens are flocked up and they are pretty well guarded by a tom. There might be a few jakes that are satellites of the flock, but for the most part a group of birds will have a routine and a flock to protect them. I would suggest your best move would be to do a little walking and scouting while you hunt. It’s going to be VERY hard to pull a tom away from a flock of hens. But, if in your walking you see some loners off in the distance, those are going to be your best targets to pursue for a harvest. 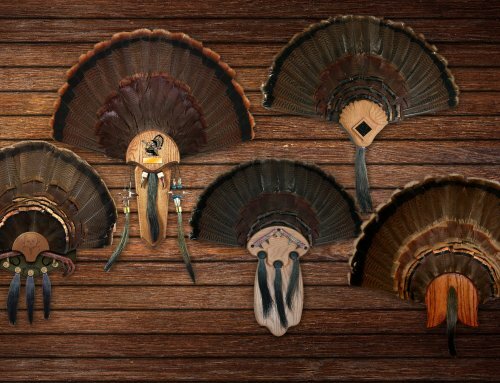 If you’d like to use any sort of decoy setup, I would avoid making use of a strutting tom or a turkey fan on a lone turkey. These loners are by themselves for a reason. There’s a good chance that they’ve been pushed out of flocks by a dominant tom. Seeing a tom decoy would only cause them to avoid the setup. Setup a few hens and let out a few soft clucks. You’ll have a much better chance at coaxing him in. If you are only seeing toms with flocks of hens, this might be your best chance to use a “challenge” decoy to entice that tom to come closer to you for a “fight”. Maybe you’ve seen some of those newer decoys out there that you physically hold and walk towards toms in flocks with. Take a chance! It’s really a 50/50 situation. Hold this decoy, or simply an old turkey fan you might have, and let out a gobble call. The tom might hustle his hens away from you. On the other hand, he might engage in that challenge and you might have a very exciting situation on your hands that involves a charging tom! Third season is much like second season, but with any luck, towards the end of this time you will begin to see a slight shift in the responsiveness of toms when it comes to calling. It’s a longer season and that can be to your advantage too. However, those turkeys will still make you work for a successful harvest. One thing that I think you could use to your advantage during this week of hunting is the fact that the hens are beginning to nest. You see, for the past two weeks, if the hen is physically ready, she will lay about one egg per day at a chosen nesting site. Usually clutches of eggs will number between nine and twelve eggs total. However, during the couple weeks that she is laying, she is not on the nest all the time. Most of that time is spent foraging, feeding, and roosting for the evening. Only when she is done laying her entire clutch of eggs will she begin to incubate them to hatch. If the hens breed most of second season and third season, the estimate would put the more mature hens on their nest towards the very end of third season and the beginning of fourth season. This can be a huge benefit to a dedicated turkey hunter. At this point in the season, I might suggest for you to go ahead and “sleep in” in the morning. Don’t worry about setting up for an early morning fly-down intercept. Get up, have breakfast, and get out to the timber by 9 a.m. You’ll be right in the prime time of turkey hunting during these dates. You see, hens, whether they are roosted or nested, will often times get up in the morning and go out to feed. Toms will be with them and it would be hard to pull them from a flock of ladies. By late morning, these hens have had their fill for the morning and will promptly return to their hidden nests somewhere on the ground. That will leave these poor fellas looking for love and that’s where you come in. By late morning, a tom without hens is like a lost puppy. Quite often, a love-sick tom will come to any hen call that he hears. He’s hoping that there is still a lady or two out there who would like his attention and he will spend quite a bit of time and energy on the look. Find a good hiding spot and set out a few hen decoys in front of you. Field edges, old logging roads, pastures, and thin timbers offer a good setup to call in a lonely tom. One morning, my wife took two different shots in two different setups just 30 minutes apart on two mature toms. Now, her ability to connect when she was overly excited is another lesson (one I shared with my wife that morning) but nonetheless, she experienced a great “at its best” late morning hunt that day. In my experience, fourth season is one of my favorite seasons for a few reasons. First, it contains a good amount of time to hunt. The dates add up to almost three weeks of hunting. For a person who works during the week, this is a great option for a hunt. Second, the state of Iowa will allow Iowa residents to purchase up to two turkey tags in the spring. Your first purchase must be for one of the four existing seasons. If you wish to purchase a second tag for the spring, Iowa will allow a second purchase for the fourth season dates. Again, if you have limited time, an extended period to hunt would be to your advantage, you could purchase both of your spring turkey tags for fourth season. A third reason would be, in my opinion, it’s relatively easier to bag a turkey during the fourth season than it is during the first three. By May 2nd, and later, hens are spending more and more time on their nests. They might leave their clutch of eggs here are there to get a bite to eat, but for the most part they are sitting alone for quite a few hours in the day. Toms during this time are not quite “finished” with the idea of breeding. They are still on the search for that last hen that still is willing to breed and that’s where this season becomes an advantage to you and your skills. Again, this is a season that I don’t think you need to do too much early morning hunting. If you enjoy your sleep, go ahead and sleep in a bit. When you get out to the timber, I would suggest having your walking shoes on and begin a quiet, still, cautious, walk through some areas that you know contain some birds. Precede any walking you do in any direction with a few loud hen calls. Take a little time to wait for a response. If you hear one, come up with a quick game plan and put it into action. If you do not get an answer, again, take a moment to look around before you move on. Trust me, I’ve had a few lucky harvests in these moments! Birds might come in quietly to investigate. Be ready! If you are more of a “sit and wait” type of hunter, this is a good time for you too. Put out a decoy setup of a few hens and maybe a jake. The best position would be to have a laying hen and a jake behind her as if he’s getting ready to breed. A lovesick tom, if he sees that, will charge in at full speed to try to push your jake decoy off this hen. Hopefully, you are ready for your shot. Regardless of what I say, you’ll find other hunters with good reasons for why they hunt certain seasons here in Iowa and that’s just fine. It’s a brotherhood that likes to share advice, and if you’re wise, you’ll test some of these “theories” until you see what works best for you. For me, I’m a first and fourth season hunter. I’ve had great success with those dates over a good many years now and I don’t see any reason to change things up. I’d encourage you to figure out your own “equation of seasons” and enjoy what Iowa has to offer. When you do have a successful harvest, don’t forget to display that turkey tail proudly on your wall! Good luck!